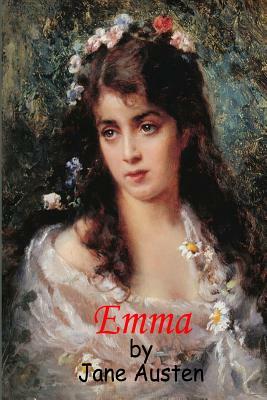 Emma, by Jane Austen, is a novel about youthful hubris and the perils of misconstrued romance. The novel was first published in December 1815. As in her other novels, Austen explores the concerns and difficulties of genteel women living in Georgian-Regency England; she also creates a lively comedy of manners among her characters. Emma is spoiled, headstrong, and self-satisfied; she greatly overestimates her own matchmaking abilities; she is blind to the dangers of meddling in other people's lives; and her imagination and perceptions often lead her astray. This novel has been adapted for several films, many television programs, and a long list of stage plays.